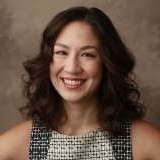 Sarah A. Suzuki founded Chicago Compass Counseling, LLC on September 2012 and joined the Mental Health Care industry after grad school in 2007. She focuses on meeting with clients and doing counseling and therapy while creating relationships. Sarah is a Certified Alcohol and Drug Abuse Counselor, and a member of the Academy of Certified Social Workers and National Association of Social Workers. Sarah always wanted to be a famous author and wanted to make a contribution to the community and make an impact and change within the mental health industry. Sarah is also currently working on a side project which she is super excited about; a blog to be published by 2016 called "Drink Like a Man: Control Your Drinking and Eliminate Bad Behavior" that she started on May 2015. She is thrilled to join the Bristol community and looks forward to networking with other business professionals.